Photos courtesy of Laura DeGraw Photography. 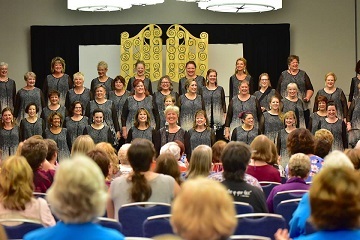 Wow-there are no words to describe the last two weekends at The Woodlands Show Chorus. Triple whammy might come close! One of the definitions of whammy is magic spell and that is truly what we experienced. 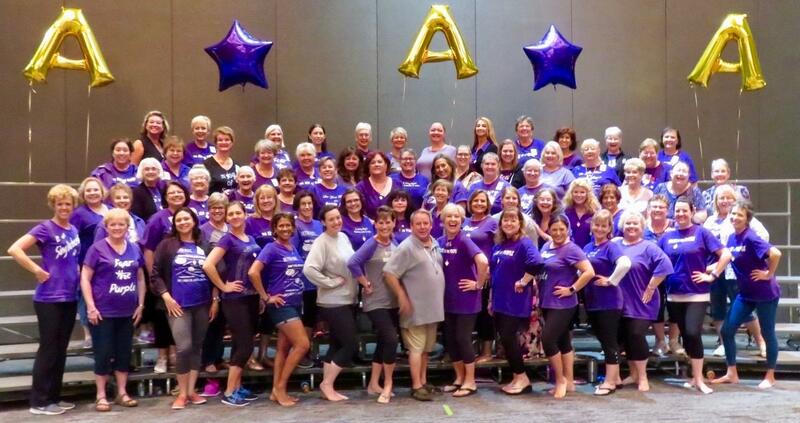 It started with our retreat, in Galveston, with Jim Arns. We were immersed in music, harmony and creativity! Our Betty and Jim working together is magical and we truly grew in all areas as we continued to improve our performance level! Next up was our Fall Regional Meeting-what a great weekend!! It never ceases to amaze me how much there is to learn and how knowledgeable the SAI faculty is! Lori Lyford had some fantastic classes-I know I speak for everyone in attendance that we learned a lot!! This was not the best part though-TWSC had the opportunity to be coached by Lori and it was so great to have her input on what we could do to make our music better. My cousin asked me why competing choruses and directors help each other? Well, it is all about education and as Betty said- “there are no secrets in Sweet Adelines”. Finally, the highlight of the past two weeks was the chance to perform our package for all our friends in Region 10! This was the final touch to cap everything off. There is nothing more magical then performing our craft to the best of our ability to such a fantastic audience! St. Louis here we come! !